Coming Soon: The Great Gatsby! The new trailer for the upcoming remake of the Great Gatsby was just released. Leonardo DiCaprio plays Jay Gatsby. Tobey Maguire and Carey Mulligan are playing Nick and Daisy. The movie doesn’t come out until late December, so we have a long way to go yet, but it will be fun to follow the progress of the film from now ’til then. This version was directed by Baz Luhrman, which means it comes with a lot of pomp and circumstance and big stage dramatics. Ms. Jeannie can’t wait! 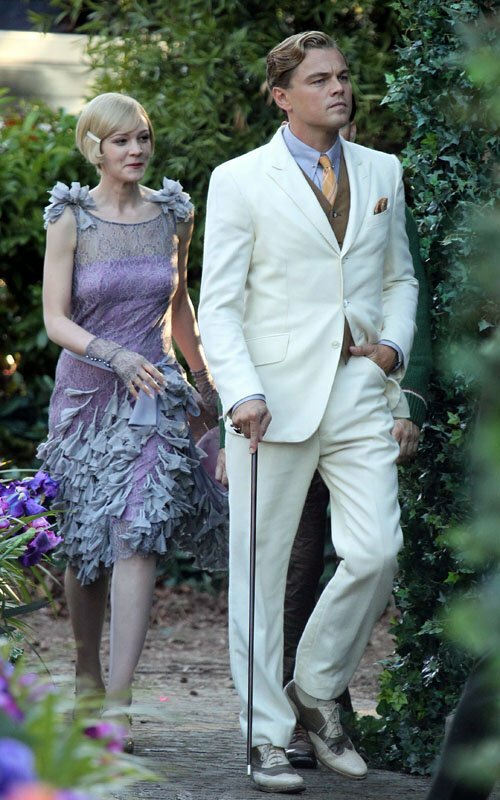 Movie Still from the Great Gatsby Featuring Leonardo Dicaprio as Jay Gatsby and Carey mulligan as Daisy Buchanan. Previous Might We Have A Triple Crown Winner?